GFG Style, an automotive company founded in 2015 by legendary designer Giorgetto Giugiaro and his son Fabrizio, has teased a new concept vehicle that will be presented during next month’s Geneva Motor Show. 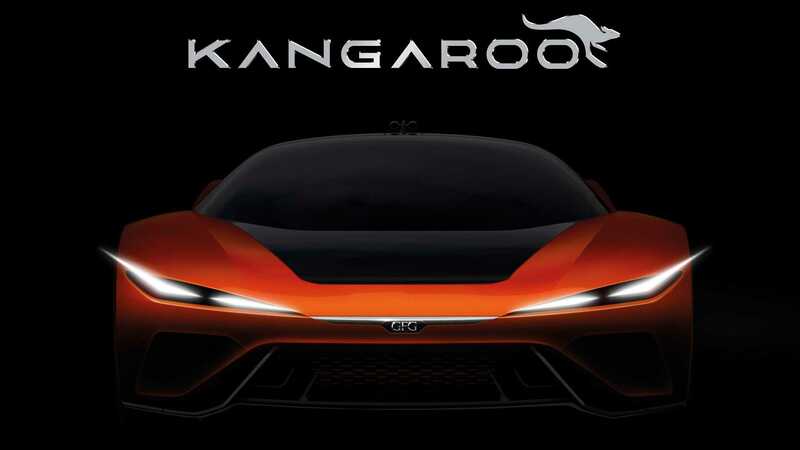 While the Kangaroo moniker might not be the most grabbing out there, we are promised the vehicle will have a top speed of 155 miles per hour (250 kilometers per hour)… on any terrain! The study will take the shape of a sport utility vehicle and is actually described as an electric hyper SUV. It will seat just a driver and one passenger, and will be motivated and steered by all four wheels. The electric vehicle will ride on an advanced aluminum space frame covered with a carbon fiber body. The architecture for the project has been developed in cooperation with CH Auto. The first teaser image of the car makes us wonder whether the Italian design studio isn’t trying to trick us with the SUV term in the press release, as the car seen in the attached photo doesn’t look like a high-riding machine. Of course, this is just a computer rendering so the actual car, from a different perspective, might look entirely different. "Currently we are only revealing the ‘eyes’ of this extraordinary concept that, as in our tradition, will be completely unveiled in Geneva and drivable after the show on any terrain," says Fabrizio Giugiaro.